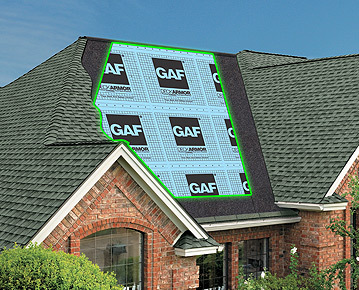 See how roof deck protection prevents wind-driven rain from infiltrating under your shingles. Help protect your home with premium "breathable" roof deck protection. Protects against dangerous flame spread and penetration into interior of property. Fiberglass-reinforced, asphaltic roof deck protection. Help protect your home from damaging moisture with superior roof deck protection.